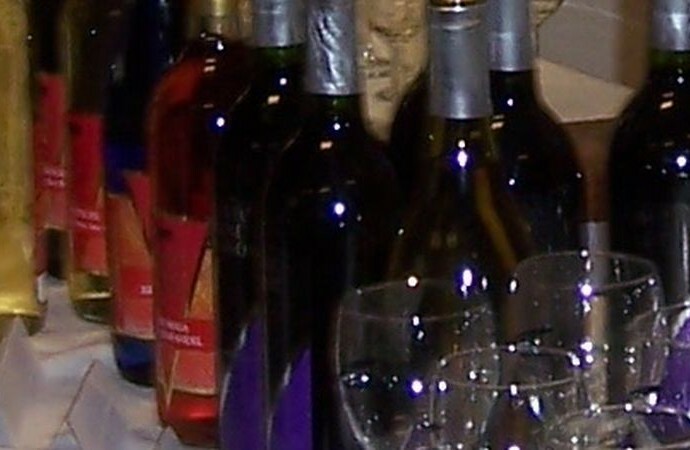 Join us on Saturday September 14th from 7pm-9pm for a festival of wine and cheese featuring wine from Chateau Thomas Winery, harpist Linda Owens and a Silent Auction. Admission is $5 per person which includes a 2013 Friends membership. Cash or checks accepted at the door. Must be 21 years of age to attend. The libraries of Hendricks County are teaming up to promote the work of Hoosier author Gene Stratton-Porter. Stratton-Porter is best known for her novel A Girl of the Limberlost which depicts life in early 20th century Indiana near the Limberlost swamp. 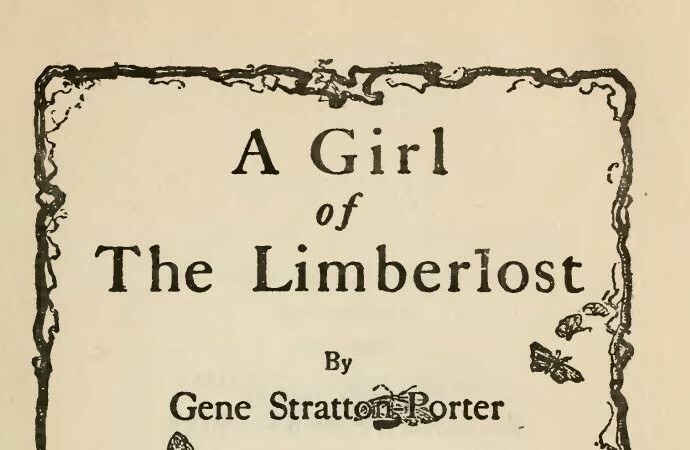 Stratton-Porter was a naturalist who frequently wrote about the Limberlost. For the second year in a row, the library is teaming up with the Indiana Law Enforcement Academy to offer an interactive tour of the Academy on Saturday August 24th from 11:30 – 1. 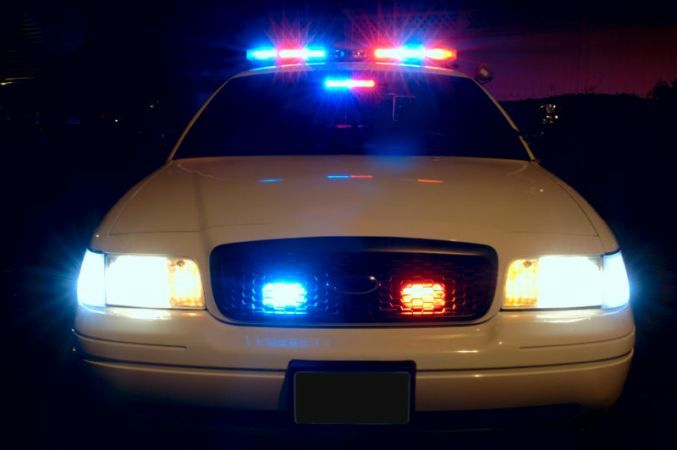 Included in the tour is a Police K-9 unit demonstration, a self defense instruction, and – most thrilling of all – a high speed trip in a police cruiser around the Academy’s test track. Ever wanted to know what it feels like to chase after a fleeing felon? Now is your chance! To register for this event, call the library at 839-6602. High Tea at Downton Abbey comes to the Plainfield Public Library! While working the check-out desk at the library in 2011 a patron started gushing about a television series called Downton Abbey. She explained that the series was about an aristocratic family in England, they had servants, etc. I listened to the patron while thinking the series didn’t sound like my cup of tea. 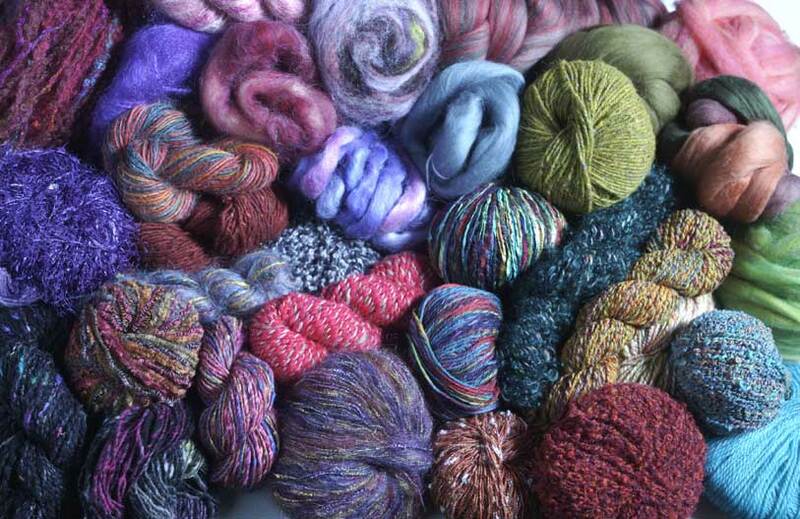 Just when I was thinking that the patron said, “You would really like it. I just know you would.” That comment surprised me especially since I didn’t know the patron at all, and they didn’t know me. Inwardly I thought, “Challenge accepted.” From that moment on I was prepared to hate Downton Abbey. When Downton Abbey’s first season came out on DVD I put a hold on it at the library and finally one day I sat down ready to hate its guts. But I didn’t hate its guts. I absolutely freaking loved its guts! I loved following the lives of the Grantham and Crawley families and their servants. The series began with the death of Downton Abbey’s heir in the sinking of the Titanic and then delved into securing a new heir, the distant and quite modern cousin Matthew Crawley. Lord Grantham is of course interested in marrying off his daughters, which backfired on more than one occasion. Lady Mary, Lord Grantham’s eldest daughter, is my favorite of the upstairs characters. She can be selfish, arrogant and cold, but she feels very deeply and cares about the servants downstairs. And then there are the servants, the people who make it possible for the aristocratic family to enjoy the cushy life they are accustomed to. They are the grunt laborers who spend the majority of their time and lives cleaning, primping, cooking, and caring for their masters. There are so many great servant characters but my favorite is Daisy, the scullery maid. She is young and unsure, but a completely genuine spirit who never fails to make me laugh. So now that I am an official Downton fan I thought it might be fun for other fans of the series to take part in a very special High Tea at Downton Abbey on Sunday, May 19 from 2:00-3:00pm. Participants will get a taste of Downton Abbey life with a special English high tea at the library. Tina Jesson from Tina’s Old Traditional English Tea Kitchen will talk about life during the time of Downton Abbey, etiquette, and master/servant relations during the post-Edwardian era. Participants will enjoy scrumptious scones served with several jams and clotted cream, a variety of delicious sandwiches, as well as English Breakfast Tea with cream served straight from the pot. Attendees are encouraged to dress up and bring their own tea cup and saucer. Registration for this event can be done at the main Desk in the library beginning April 1. A registration fee of $13 will be accepted at the time of sign-up. If this sounds like your cup of tea (pun intended) please give me a call and I can point you in the right direction! Spring may be around the corner, but Game of Thrones fans know that Winter is Coming! Join us on Tuesday March 19 at 6:30 for an evening of fun and games celebrating A Song of Ice and Fire and the start of the third season of the HBO series A Game of Thrones.We’ll have games, snacks, trivia, and lively discussion about the the coming TV season and speculation surrounding the The Winds of Winter, the forthcoming novel. Join us at the Library this Thursday (1/24) at 6:30 for a celebration of all things Star Wars! Dress up as your favorite character and mingle with other droids, stromtroopers, Jedi knights, and bounty hunters. While I have your attention, Star Wars fans, I want to ask a question. What are your thoughts on watching the now expanded canon in this order: 4, 5, 2, 3, 6? The reasoning goes like this. Episode 1 adds next to nothing to the larger storyline. Watching the movies in episode order also spoils one of the greatest cinematic surprises of all time – Luke’s paternity. With the alternate order listed above, the saga becomes a more Luke Skywalker focused piece with a nice Anakin flashback midway through before the final episode (Return of the Jedi) ties the father/son redemption themes together. What do you think? By now you’ve heard the Mayans predicted that the world is coming to an end in 2012. Experts and prognosticators will try and explain what exactly will happen and what the world will look like afterwards. But fans of The Walking Dead already know exactly what the end looks like; a Zombie Apocalypse! 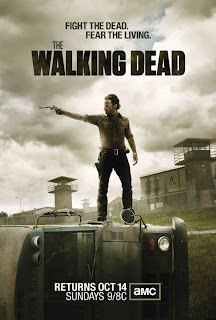 Whether you are a fan of the original Graphic Novels or of the hit TV show, the apocalypse has never been so exciting. Imagine waking up in the hospital. You have no idea why you are there. You gather your strength to call for help, but no one comes. Eventually you make it to your feet and unhook yourself from all the medical equipment. The hospital is abandoned. From the looks of it, it’s been empty for quite some time. You make your way down to the cafeteria which appears to contain some life. You pry open the double doors and are instantly met by the terrible sight and smell of a room full of zombies! You stumble backwards. Unfortunately every zombie in the room has smelled your presence and would enjoy eating your delicious flesh. Fortunately for you, the undead are not very agile and you burst out of the hospital and into the brisk fall air and safety. Your relief quickly turns to despair as you take in the world around you. What has happened? This is your town, but where are all the people? Why are all the cars abandoned and most of the windows broken? You must find your family. You scramble home, avoiding the lurking zombies. Your family is not there. You just know they are alive. You can sense it. But where can they be? How do you even begin to look for them? 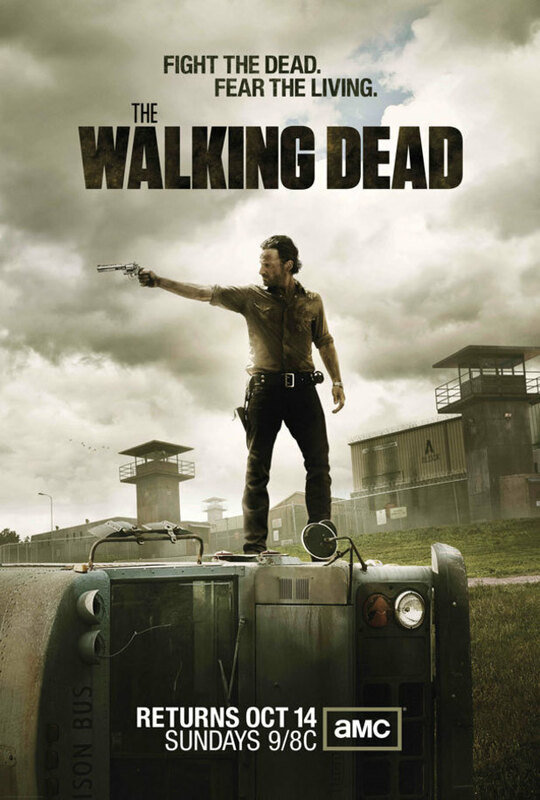 Ahead of the Season Three premiere of the TV series, the library is hosting a party on October 11th to celebrate all things ‘Walking Dead.’ Stop by to check out the latest graphic novels in the series, meet other fans, and test your knowledge of the show. There will also be themed prizes for the trivia winners and a raffle for ‘Walking Dead’ action figures. All are welcome to join us for this special event, whether you are a super fan or just getting started watching Season One. If you haven’t started, time is running out. The zombies are coming! Check out the website if you would like more information or have any questions.